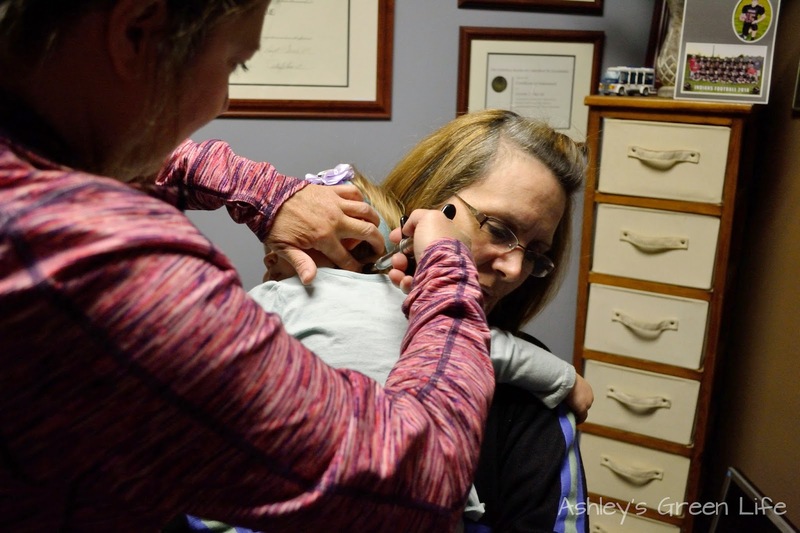 Now I don't know about you but I always thought chiropractors were just for people who had been in car accidents or who had extreme neck or back pain, never as part of a preventive health care routine. On top of that the thought of someone "popping" my back kind of freaked me out too. But one year when my allergies were out of control, I was desperate for some alternative options and so I gave chiropractic care a try...and since then I've been hooked. Today I'm going to share just how I stay healthy with regular chiropractic adjustments. These days, regular chiropractic appointments are part of my overall preventative health care routine. I book my chiropractor appointments with just as much priority as I do my daily workouts, and in making green juices and smoothies. In fact, I see my chiropractor more than I see my actual primary care doctor, not only for preventative care, but also if any ailments come up. So instead of rushing off to the doctor for a prescription, I head to my chiropractor first, and get adjusted. Following that I see how I feel, and 99% of the time I start to feel better. Now don't get me wrong, I have nothing against medical doctors. If my family or I were ever to get seriously sick, I would get them the medical attention they needed right away, it's just that I would rather try a more natural, non-invasive, non-prescription-related treatment first. You see the basic premise of chiropractic care is that the body has the innate ability to heal itself, but when the vertebrae in the spine become misaligned, important spinal nerves are stressed (called subluxation) and the nerve pathways that used to run free and clear are now blocked and as a result the body's ability to heal itself is compromised. But when adjustments to the vertebrae are preformed by a chiropractor, nerve stress is relieved, the body is back in alignment, and now it can begin healing itself once again. That's why a lot of chiropractors say..."they don't treat ailments/disease, instead they enable the body (through adjustments to relieve spinal nerve stress) to heal itself." Personally, I go to the chiropractor once every two weeks. This is the frequency that keeps me feeling healthy and my neck and back pain at bay. I go to Dr. Jennifer Gilkison at Gilkison Family Chiropractic, you can find her info here. Now I've been to other chiropractors in the past that were either too rough or too gentle, but Dr. Gilkison has the perfect balance. I've been going to her for over four years now and she's gotten me through two pregnancies, and she even adjusts my girls, which I'll talk more about later. Whenever I go I get a series of adjustments she has decided are best for me in a technique specific to her. 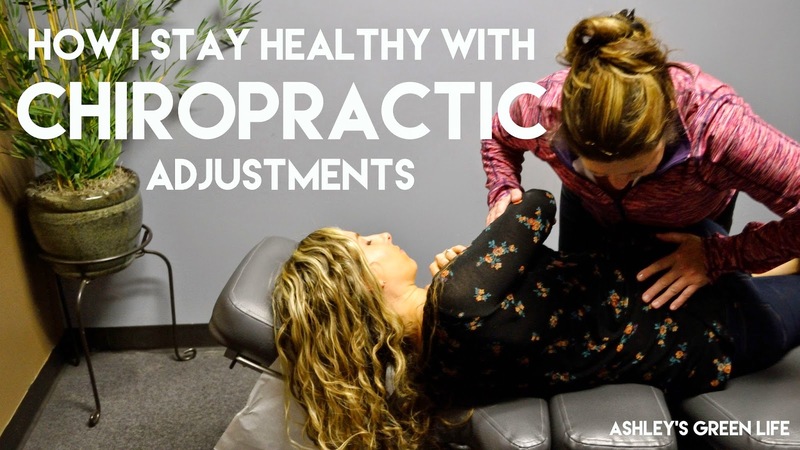 As you can imagine, every chiropractor has their own specific style and routine of adjusting to which they recommend to you, so search and find the one that feels best to you. Upper to middle back adjustment. Followed by my low back where I cross one leg over, twist my upper body to the opposite direction and she pushes down. We then repeat it on the other side. And finished off with my personal favorite...my neck. Truly the place where I feel like I hold the most tension and feel the most relief once I'm adjusted. For this one I drop one shoulder down while turning my head to the opposite direction. She then pulls up and turns it to adjust. Looks crazy and painful, but it feels so good! I can feel the blood flowing and relief right after she does it. 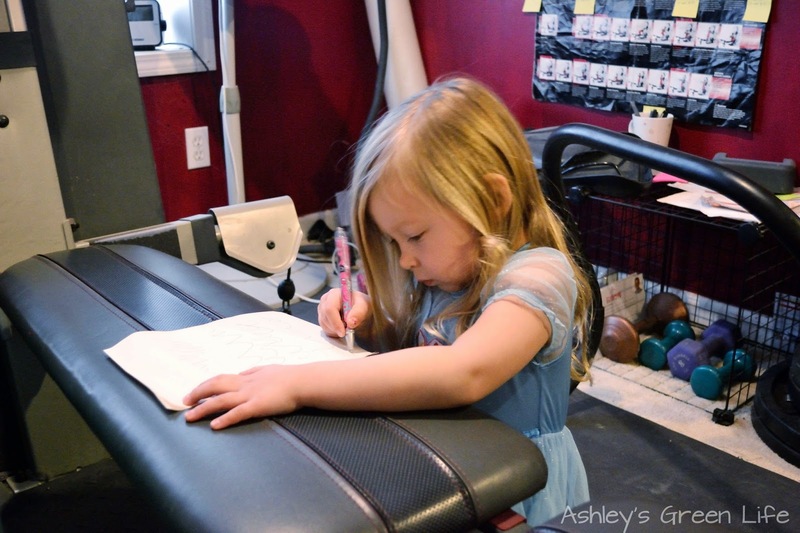 Now as I mentioned, I'm not the only one in my family who goes to the chiropractor, my girls both go as well. Avery is almost four and Mila is 18 months old, and both of them have been going since they were born...literally! I took them both in a few days after they were born to get adjusted. Misalignments can occur as babies are being born can result in the spinal nerve stress I mentioned above, so correcting them can be helpful in preventing/treating colic, indigestion, breathing issues, nursing issues, and sleep disturbances among other issues as the baby grows and develops. As you can see by the pictures, it's a nearly painless routine that only takes 2-3 minutes per child. When it comes to scheduling my girls, I try to get them in once a month. Here's Mila, calm as can be with my mom (aka my Chiropractic visit assistant). Using the activator on Mila's back. But Avery is a little more anxious about it, but I think it's just a stage that will pass. As you'll see later, she is often very proud of herself afterwards as she brags to her dad about how brave she was, and she loves to reenact the chiropractor visits later when we go home as you can see at the end of the post. Getting the activator on her back. Sissy, Grandma, and a teddy bear help. Toys in the lobby, stickers for being brave, and the office cat, Pepper all help to make the girls more comfortable with their chiropractic adjustments. visit later...as you'll see at the end of the post! One of the best parts of chiropractic care for kids is that you don't have to worry about a laundry list of side effects usually found in other treatments for kids like medications. 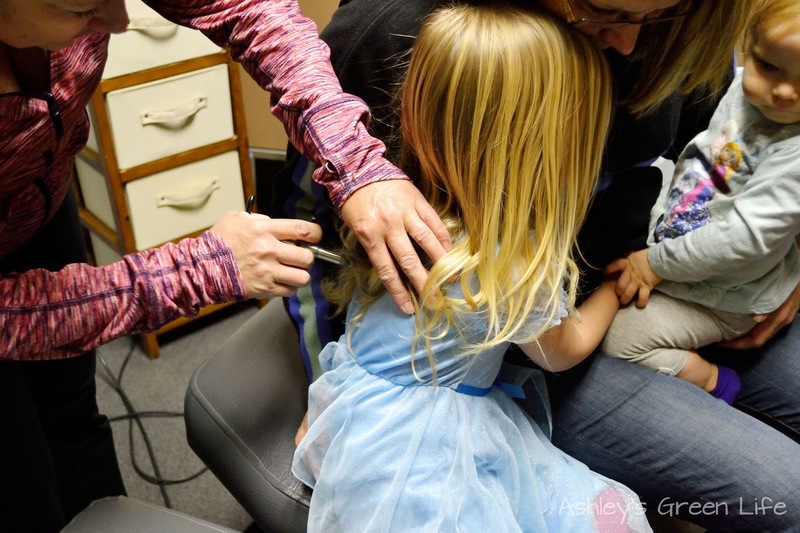 I know anytime the girls have shown a possibility of an ear infection or ear pain, I take them to the chiropractor to have their ears adjusted. And although it definitely doesn't feel good, it can and has helped us prevent ear infections from developing and the need for antibiotics since symptoms subsided shortly after. the rest of the way home. To explain the benefits it's easy to understand that if the spine and pelvis become misaligned the available room for the baby to develop is decreased. This may also make it difficult for the baby to get into the best position for delivery. So if you are pregnant, visiting a chiropractor regularly may not only help make your pregnancy more comfortable, it may also improve your baby's development and your birth. eased the pain caused by my ever expanding belly. *For most of my pregnancies I went every two weeks until about the last month or two and then I switched to going weekly. I can't help but think that my chiropractic care not only helped me deliver two healthy girls, but also to have two amazing natural home births in the process. 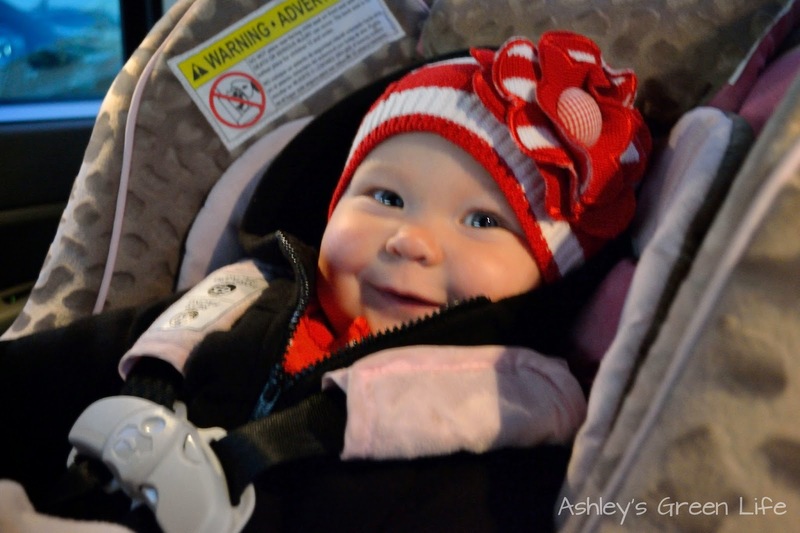 Read about Avery's here and Mila's here. In case you're wondering how much it costs, it depends on your chiropractor and if they take insurance. Some do not use insurance and instead offer a flat fee for each visit usually ranging from $30-50. For those chiropractors that do take insurance, you may be able to go for free if it is covered in your health care plan with your insurance provider. I used to be on a plan that allowed me 25 visits or so each year for free (included in the plan). Now I'm on a different plan and I have to pay around $40 a visit, but it comes out of a health savings account that my employer funds, so technically it's still free. And since this is my only health care cost, I can't complain. So that's is how and why I stay healthy with regular chiropractic adjustments. If it's something you've been considering, I encourage you to give it a try. Check with your insurance company and see if you have coverage, then find a provider in your area. If you don't, start your search on your own and find a chiropractor that you like and trust. Looking back, making the decision to start going to a chiropractor was one of the best choices I've made for my health and I only wish I would have gone sooner! So have you ever been to a chiropractor? Do you go regularly? What benefits do you see from going? If you haven't been, do you feel more comfortable now with trying it? Or if you have any questions I can help answer post them below. 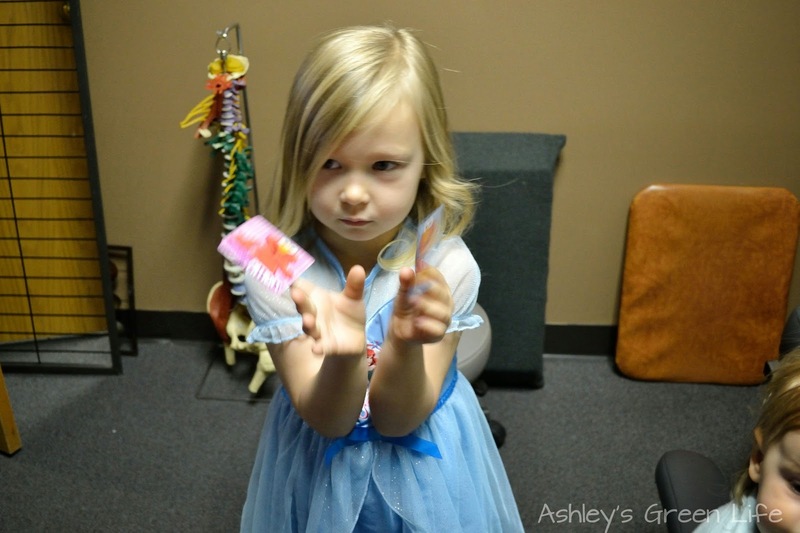 Now for some chiropractic fun from my chiropractor in the making...Avery! Don't forget to cross those arms! See you next time greenies!